A limited amount of team rooms are available. Please contact Barbara Swafford if you are interested in purchasing one for your school or club. For payment, make checks out to Dallas Chess Club. Team rooms are used as a central base of operations for a team. This is useful as your kids will not be running around the hotel but will be in one central location when they are done with their games. It is easier to keep track of the team's players and to make sure that the players do not get lost or in trouble. A team room allows a coach or hired instructor to more easily go over the student's games without other players or teams interrupting or scouting. Team rooms also allow for one or two responsible individuals to watch over and care for the whole team. 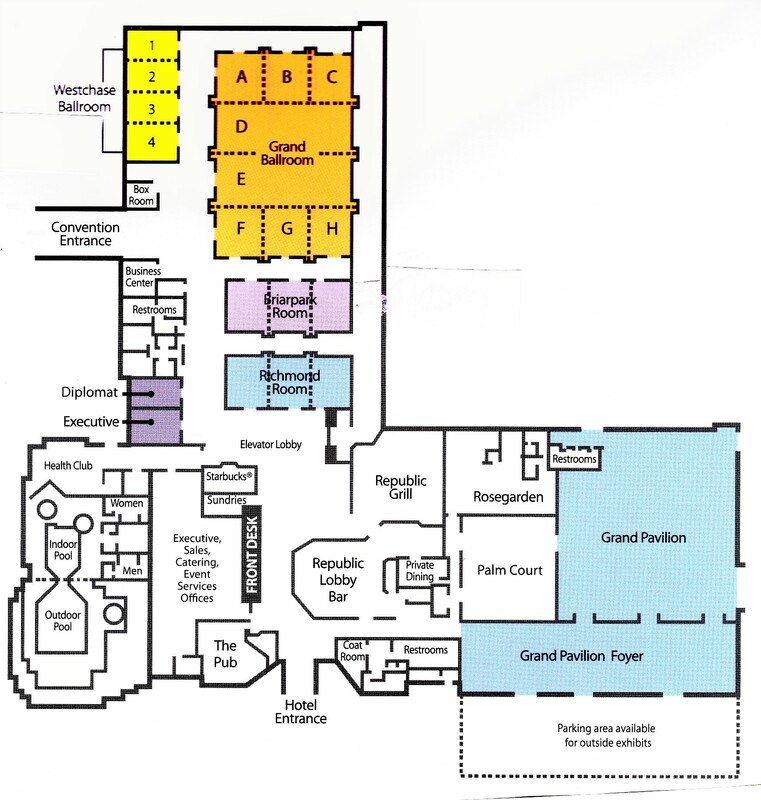 Where are the team rooms located? The team rooms are located on the 1st floor of the hotel. The main tournament playing areas are also on the 1st floor of the hotel. Team rooms will be available from Friday Night to Sunday evening. Are table and chairs included in the room? Yes table and chairs are included, note that the hotel will use almost all of the tables for the playing area, so you may have to get two x18" tables to make a table, but probably it will be round tables.